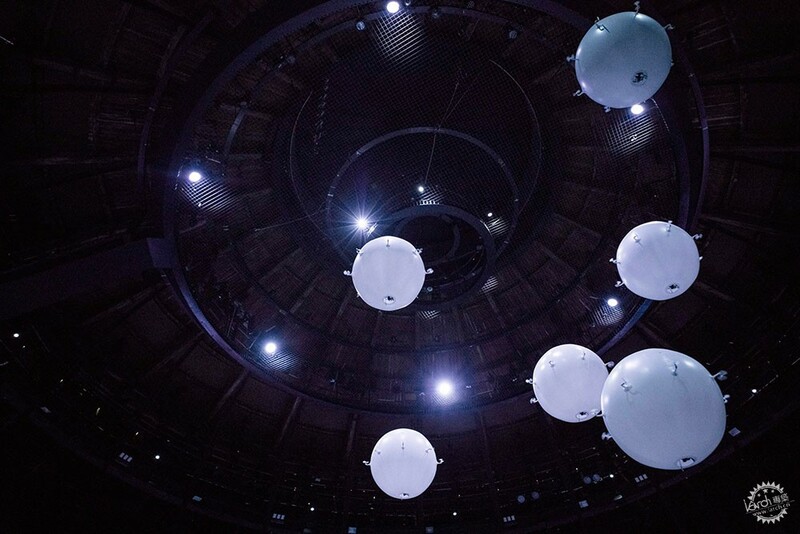 A flock of giant spherical drones move in response to visitors inside London's Roundhouse, which is hosting the latest installation by Rain Room creators Random International. 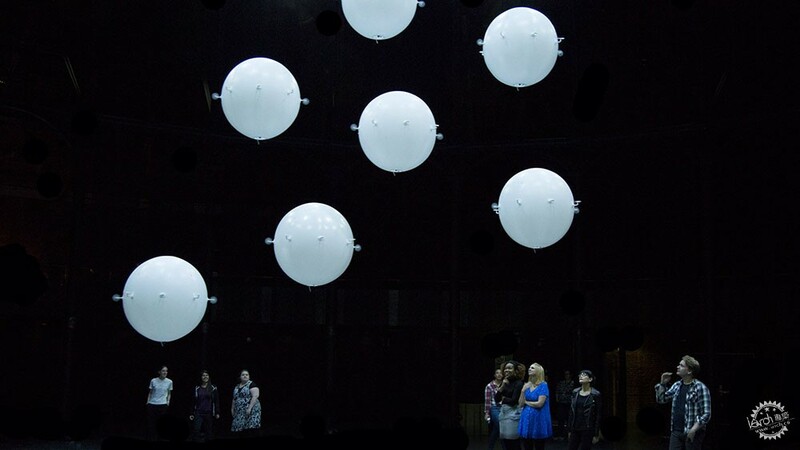 The Zoological installation forms part of a programme of events at the north London theatre named +/- Human and curated by choreographer Wayne McGregor. Visitors can engage with the installation throughout the day, although on Friday and Saturday evenings it also doubles as the setting for a new dance work created by McGregor and his company. 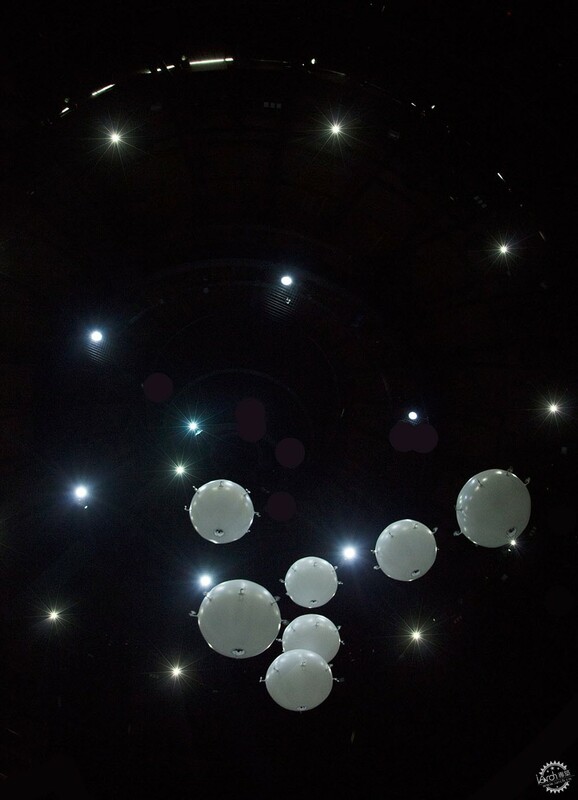 Zoological sees a crowd of inflated balloons – described by Random International as "organisms" – equipped with propellors buzz around the circular space. 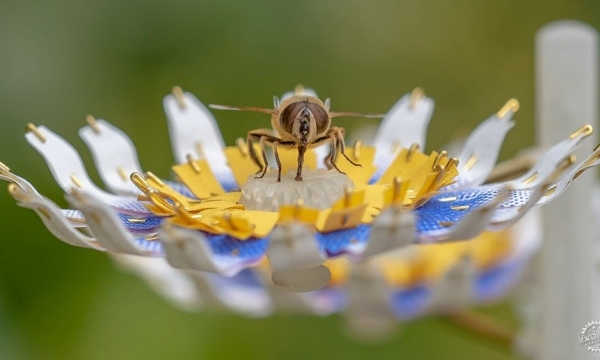 The drones' path is determined by an algorithm, which dictates that they move around in a flocking formation. Motion sensors pick up on visitors moving around the space, forcing the drones to follow. 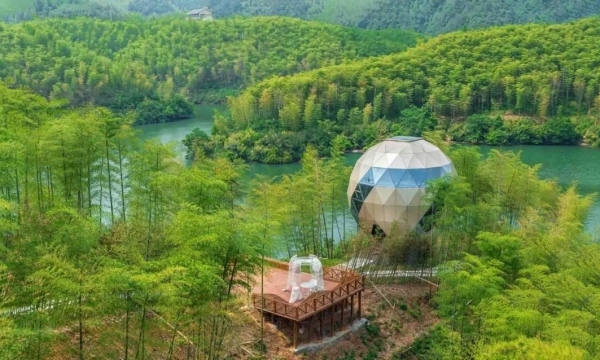 "We wanted to create this organism, this artificial life form which lives in the space, floats and moves around and reacts to people," Random International co-founder Hannes Koch told Dezeen. 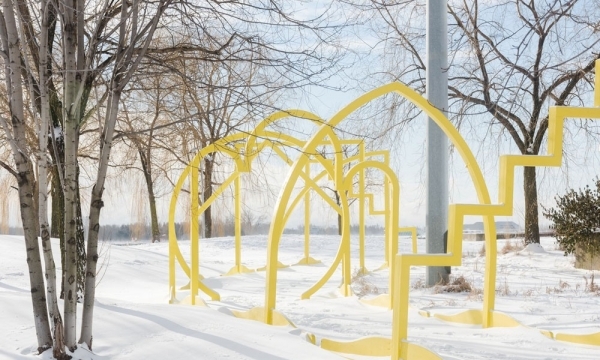 "We'd been thinking about ways of somehow making swarming or flocking behaviour more physical and more tangible." 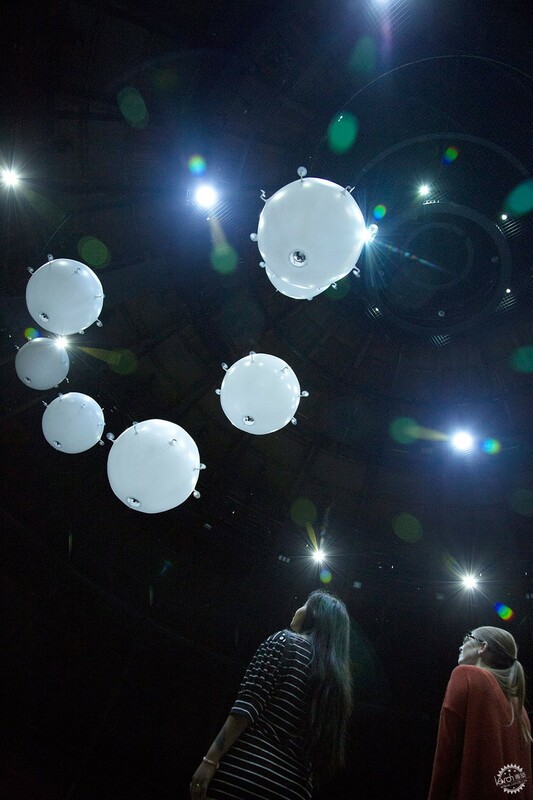 "We always wanted to do it kinetically, and to stimulate something that is airborne. 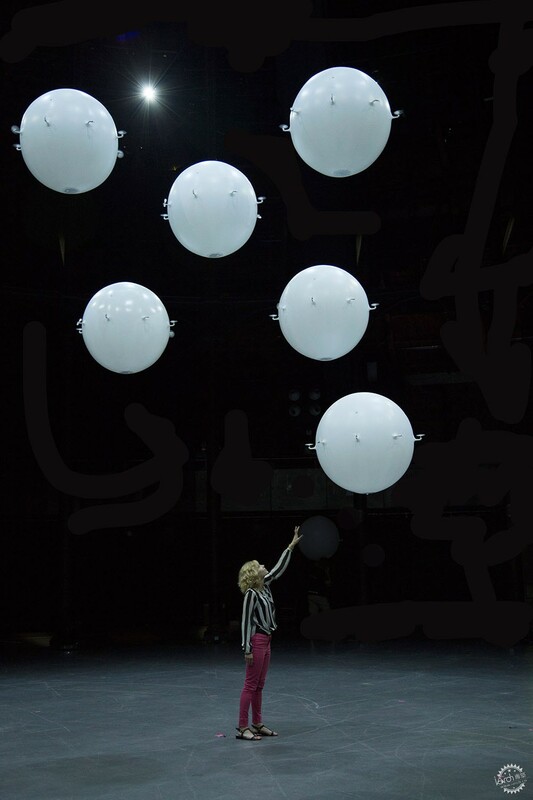 So that's what we looked at – helium-filled balloons that fly collectively according to flocking and swarming behaviour." Koch believes that the way his team has managed to control the drones' movement is what makes Zoological unique. "We've seen flight formations by drones, that's old hat – but having airborne objects that fly according to an algorithm is something that's fairly untested," he said. "Then having them react to members of the audience, to display maybe very basic forms of behaviour or signs of curiosity, or shyness or aggression – we're starting to learn how we teach the beasts how to behave." To heighten the hypnotic and immersive experience, the installation is accompanied by a piece of music specially composed by Mark Pritchard. 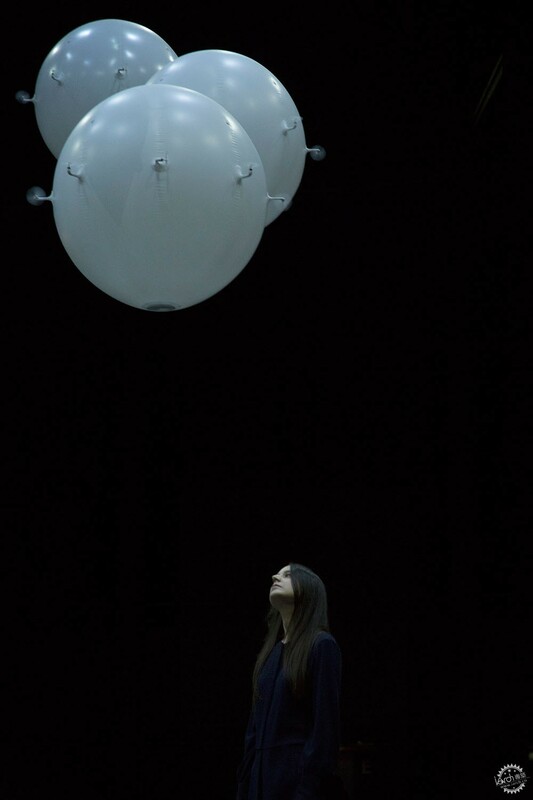 The dance performance reacts to both the installation and Pritchard's score – exploring the relationship between "human bodies and technological entities". "We leave [McGregor] with complete freedom in developing choreography," said Koch. "His whole vision was this addition and subtraction of human interaction, and I think he curated the music in response to the way he wanted to see our artwork sitting in the space." Zoological marks the fifth time Random International has collaborated with McGregor – who, according to Koch, approached them after seeing an article about one of their early projects on Dezeen. The London studio is behind the massively successful Rain Room, which allows visitors to play in the rain without getting wet. It was first installed at London's Barbican Centre, and its popularity led to a tour of locations including New York and Shanghai before it was moved to LACMA.